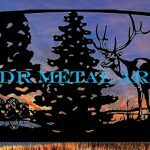 Gate Site Planning and Installation Guide - Custom Driveway Gates - Iron Steel & Aluminum - JDR Metal Art - FREE Standard Shipping! Step 1: Evaluate the installation site. This is the most important step of the entire project. A simple evaluation of where and how the gate(s) will be situated will avoid many potential issues and ensure the best end results. Which direction will the gate(s) open? Gates with gate motors are set to swing open and closed only one way or the other i.e. either the gate will swing open towards the home (“pull to open”) or towards the road (“push to open”), but not both. A sloped driveway will potentially limit the direction of swing. Trees or other obstructions in the vicinity will potentially limit the direction of swing. Too much curve in the driveway could pose an issue for longer vehicles such as trucks with trailers passing through narrower gates. The distance of gate from road. Allow plenty of room for entering vehicles to pull safely off the road. A single swing gate will require a larger area of clearance to swing fully open compared to a dual swing gate of the same width. How wide do you want the gates to be? Consider size of vehicles and/or machinery potentially coming through the gates. The area between the gate posts or columns should be around 6″ wider on each side of the driveway to allow room for hinge spacing and a couple of inches on each side of the driveway. A 15′ wide asphalt driveway would need 16′ or more between the posts or columns. A gate situated on a sharp curve will constrain longer vehicles so the gap between the posts should be made wider to accommodate entering and exiting farm equipment, trailers, etc. Will the gates be manually or automatically opened? If using electrically powered gate openers, whether running solar or running a power wire to the gate is the best option. Solar power requires at least 4 hours of direct sunlight per day. A manually opened gate will require a latch, drop pins or another method to secure the gate in the open or closed position and to keep them from swinging freely in the wind. How far off the ground will the gates need to be hung? At least 1″-2″ ground clearance should be maintained to allow for frost heave or another movement of the ground over time. Areas with high snow accumulation may want to place the gate 12″ or more above the ground. Areas prone to flooding should be avoided if at all possible. All of our gates are built to swing two ways; in towards the property (“pull to open”) and out towards the road (“push to open”). Gates not equipped with gate openers can be swung by hand towards both out towards the road and/or inward towards the property. Since there is nothing to secure the gate from swinging freely in the wind there is a need to add drop pins or a latching system to prevent damage to the gate or people. The curve, slope & grade of the driveway will determine which direction the gates swing and how high off the ground the bottom of the gates will be in order to clear obstructions such as snow, flooding, grade, rocks, etc. The first consideration is the slope of the driveway at the installation site. This is important to make sure the gate(s) can swing a full 90 degrees or more into the open position without swinging into the ground. Flat areas are not restrictive on the direction of swing of the driveway gates. They can be set up for either push or pull to open. Other considerations in flat areas are the curve of the driveway, distance from the road, depth of snow, areas prone to flooding, etc. In areas near a road, it is important to leave enough room for entering vehicles to safely wait off the road while the gate opens. If the driveway slopes moderately upwards towards the property the gate opener can be installed in the “pull to open” manner only if the bottom of the gates are set high enough to clear the ground where the gates reside when they are in the open position. Otherwise, plan for “push to open” installation. If the driveway slopes too heavily upward towards the home, the gate(s) will need to swing out towards the road (push to open) in order to clear the ground in the open position. If the driveway slopes heavily upwards towards the road, the gate opener should be installed in the “pull to open” fashion. Curved areas should take into account RV’s, landscaping trailers and other long vehicles and machinery that may pass through and have a hard time making a sharp corner. Dual swing gates with electric gate openers will require a conduit to be run through a trench beneath the driveway to get power and accessory wires from the “master” operator to the “slave” operator. Some gate operators that communicate wirelessly can now be purchased, thus obviating the need for an operator power wire. This power wire is not necessary for a single swing operator unless the operator power supply is coming from the other side of the driveway. Once the direction of swing has been determined and all factors accounted for, the next task at hand is the site preparation and installation. There are several methods of installing the gates. For the purposes of these instructions, we are going to assume that the gates are being installed on metal posts. Customers who are installing the gates on columns should go here for further instructions. Single swing gates are the easiest to install. Dual swing gates are more involved because they have to line up with each other to look good. These instructions will be written from the perspective of a dual swing gate. A single swing gate will only involve the first half of each step. How deep and wide do I dig the holes? In areas with softer soil, go wider at the bottom than the top so the hole has an overall “bell” shape. This gives the concrete a nice flat bottom to sit on to evenly distribute the weight and keep the post from tilting over time. 36″ deep or more per hole is ideal, but it must at least be deeper than frost line. 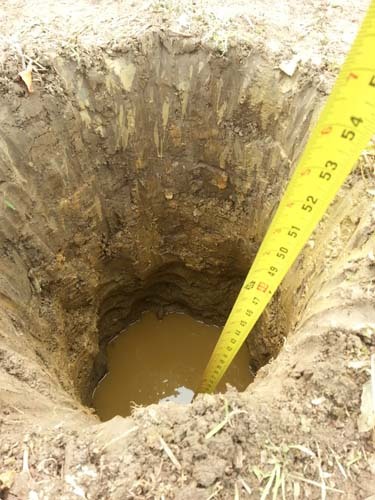 Rocky areas may not be able to go 36″ deep, in these cases just go as deep as possible and make a wider hole. In all cases the width of the hole will be determined by the size of the gate and how much concrete will be needed to fill the holes. A larger gate will require a wider and/or deeper hole. 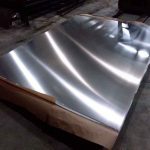 The holes are typically at least 18″ wide at the top and 24″ wide at the bottom. Narrower holes should go deeper. Concrete serves the critically important role of holding the post(s) in place and keeping them from moving over time. Unfortunately, despite the fact that concrete is the cheapest material that goes into a well-designed gate project; all too often gates are installed to gate posts that are set in an inadequate amount of concrete. That will allow the downward force of gravity on the gate to pull the post over as years (in bad cases, months or weeks) go by. As a general rule of thumb for steel gates, there should be 100-150 lbs of concrete per foot of length per gate panel. A 10′ long steel gate panel should have from 1000 lbs to 1500 lbs of concrete in the post hole. Areas with hard clay or rocky soils will get by with less concrete. Areas with deep, soft topsoil or sandy soils should use 25-50% more concrete. Aluminum gates can use approximately half the amount of concrete as would a steel gate. How Far Do I Set the Posts Apart? For Single Swing Gates that have a “dummy post” add 4″ to the width of the gate. A 12′ gate panel requires 12′ 4″ clearance between the posts. 3″ for the hinge gap, 1″ for the gap between the gate and the dummy post. For Dual Swing Gates (Pull-to-open): Add 8″ to the overall combined width of the gate panels. A 20′ dual swing (two 10′ panels) will require 20′ 8″ between the posts. So the posts will be set 20′ 8″ apart I.D., inside to inside dimension. There will be a 3.5″ hinge space for each panel and a 1″ gap between the two gates. Dual Swing Gates (Push-to-open): Add 9″ to the overall combined width of the gate panels. A 20′ dual swing (two 10′ panels) will require 20′ 9″ between the posts. So the posts will be set 20′ 9″ apart I.D., inside to inside dimension. There will be a 4″ hinge space for each panel and a 1″ gap between the two gates. How Much Adjustment is in the Hinges? There is approximately 1-2″ of adjustment for each gate panel…in other words, each gate panel can be moved 1″ in towards the center of the driveway or 1″ out towards the gate post in order to adjust the gap sizes and perfectly level and align the gate(s). This allows a good amount of room for error in case the posts are not installed 100% plumb or the distance between the posts is off a little bit. This method is best for experienced installers who have a laser transit or other means to accurately place the posts first with the gates being hung to the posts only once the concrete has set up for several days. Without the proper measuring tools it can be very difficult to accurately place the posts so that they are plumb up and down as well as level across the tops. Placing one post too deep or shallow will result in the gates looking awkward and uneven and not level and straight as they should be. *Be sure the gates will swing the desired direction without hitting the ground as they approach the open position. This method makes it easy to line the gates up properly. However, it’s best to use three of four people to make this happen easily. By installing one side at a time it is easy to be sure that the gates and posts will line up properly. Focus on getting the first gate panel and its post in place; once that is done the second panel can be matched up exactly before setting the final post in concrete. *The example shown above is for a 12′ single swing gate. Substitute your own exact single swing gate panel width measurements, the gaps will still be the same no matter the gate size. *The example shown above is for a 16′ dual swing gate. Substitute your own exact (dual swing) gate panel width measurements, the gaps will still be the same no matter the gate size. Measure your gate panels: add 4″ per gate panel for hinge spacing. Also, add another 1″ for a gap between the gates (for dual swing setup); or add 1″ gap between the gate and the latching post (for single swing setup). This is the distance between the posts. On-site locate, mark and dig the post holes to accommodate the amount of concrete required by your size of the gate. For example: on a 16′ dual swing gate, the posts would be placed 16′ 8″ apart. Another example is a 12′ single swing, which will require a total of 12′ 5″ space between the hinge post and the latch post. Once the holes are clean and free of any debris, if desired, place several inches of gravel in the bottom of the hole to facilitate drainage. Place wood blocks or shims as shown in the diagrams above. 2″x6’s that are cut 16″ long and stacked on top of each other work well. If you are aiming for 6″ of ground clearance beneath the gate at the center of the driveway then you would want 6″ tall blocks in place. If there is an uneven slope from left to right or right to left, be sure to start by installing the gate on the side that is on the higher part of the slope. A driveway with a higher grade on the left side would need to have the left side installed first. Installing them in the reverse order creates the potential for inadvertently installing the 1st gate too low for the 2nd gate to clear the slope as it opens. To be sure the gates will clear the slope, place a long straight edge and level on the stack of the block in the center of the driveway; the other end of the straight edge should be placed to where the gate end will swing into the open position. The level should indicate that the center block is higher than the ground beneath where the gates swing open to. Place the gate post in the post hole. Stand gate up on its blocks. Assemble post to the gate using hinge hardware. If the hole is too deep add gravel or a concrete block and/or dry concrete into the bottom of the hole for the post to sit on top of. Ideally, there should be a few inches of concrete encapsulating the bottom of the post to prevent water from being sucked up through the bottom of the post. Tighten hinge hardware so the post is plumb, pour concrete (hydrate, but not super wet) around the post while making sure the post remains plumb both ways. Both the gate and post should be kept plumb as the hole is filled with concrete. Also, make sure post and gate are square to each other. Once the 1st gate is installed, the 2nd gate will sit of the other half of the center block and its own block on the hinge side of the gate. If installing dual swing repeat step 5 for 2nd gate and post. Allow concrete to set up at least 24 hours before opening the gates. It is best to swing them into the open position and place blocks beneath the gate and allow the concrete to cure for several days before putting the gates into service.